This pistachio muffin is from Heinen's. It is coated with sugar crystals and tastes wonderful. 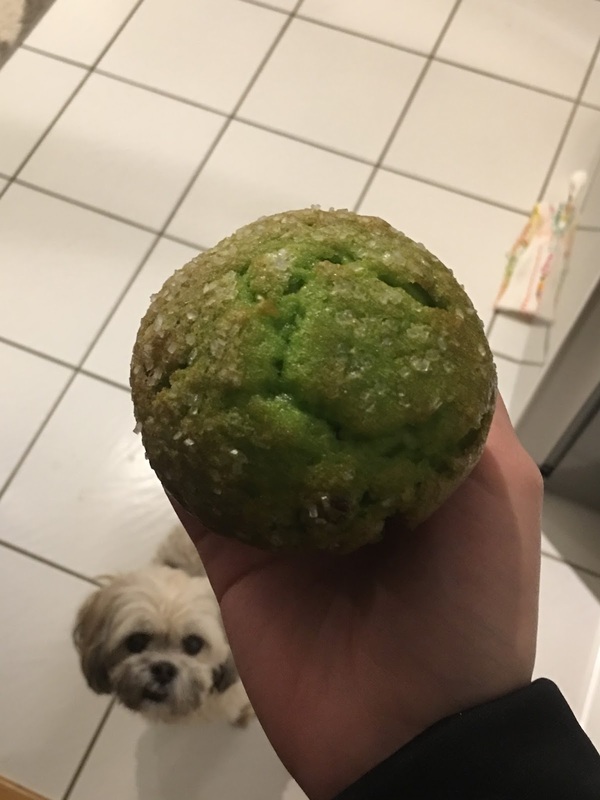 The muffin is a great thing to wake up to and my dog is in the background.